In this segment of "Cafe 5," mixologist Egor Polonskiy from Southern Glazer’s Wine & Spirits shows us how to use garden fresh ingredients to create flavorful summer cocktails. 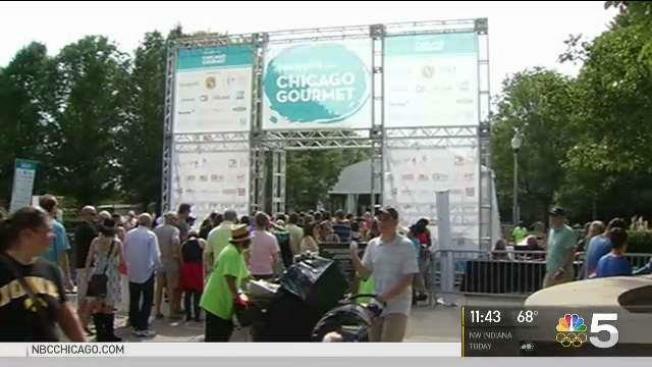 Polonskiy will present a demonstration on the topic on Sunday, Sept. 24, at this year’s Chicago Gourmet in Millennium Park. Southern Glazer’s is the presenting sponsor of Chicago Gourmet, which celebrates 10 years this September and welcomes 250 chefs dishing up tastings throughout the weekend, with a variety of cocktail and cooking demonstrations, educational seminars and more. Shaken with ice, served on the rocks with cucumber and cilantro garnish, tajin glass rim. Agave Spirits, Get in the Mix! There is so much excitement in the agave spirits world, much of it thanks to industry leader Tequila Patron. However, the spirit is at a historic premium thanks to production techniques and popularity, but also due to the rising shortage of the blue agave plant. Mezcal and other agave spirits are making a rise onto the scene and we invite you to explore the spirit with us as we talk about the tradition, the techniques and the uniqueness of the agave world. We will of course partake in some classic agave cocktails while doing so! Refreshing, clean and has the ability to transport you across land and sea. This is one way to describe the increasingly popular cocktail spritz. Together we will explore various ways to go beyond your norm in cocktail entertaining by increasing our flavor and lowering our alcohol content. Low ABV cocktaills are quickly climbing the ladder into mainstream cocktail menus and we will show you how to master this craft while of course enjoying some tasty libations. Mixologists are the chefs' behind the bar and just like in the kitchen they use a wide array of ingredients to present a culinary libation that is designed to please your palete. Some of the country's leading cocktail curators have long moved beyond sweet, sour, shake, repeat. Now everything from fresh herbs to hot dogs are being used to reinvent the classic cocktails. Today, we're skipping the hot dogs, but will showcase how your garden at home is the best-kept secret to your next cocktail party.